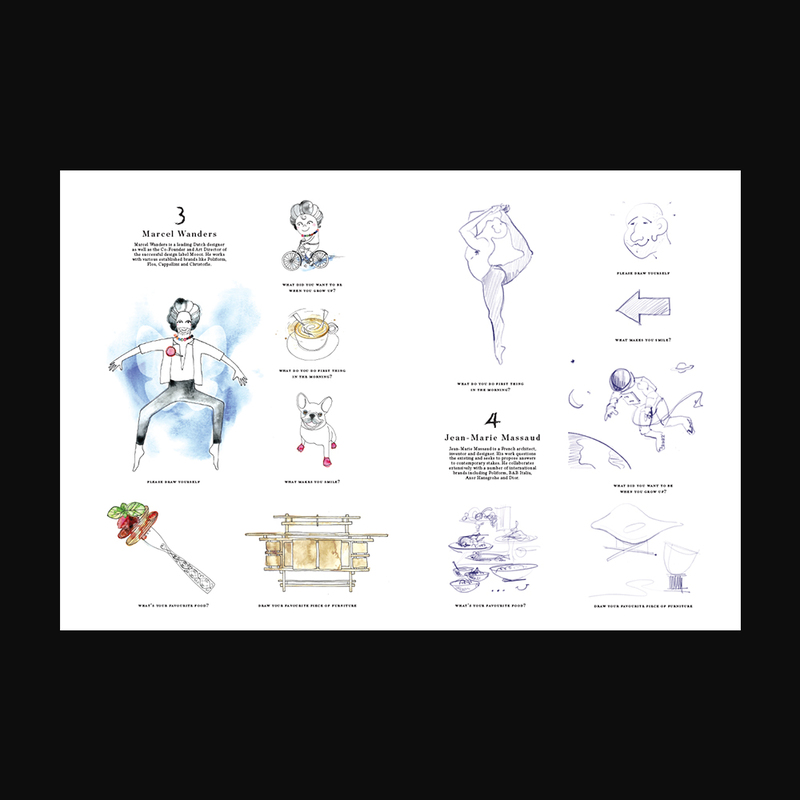 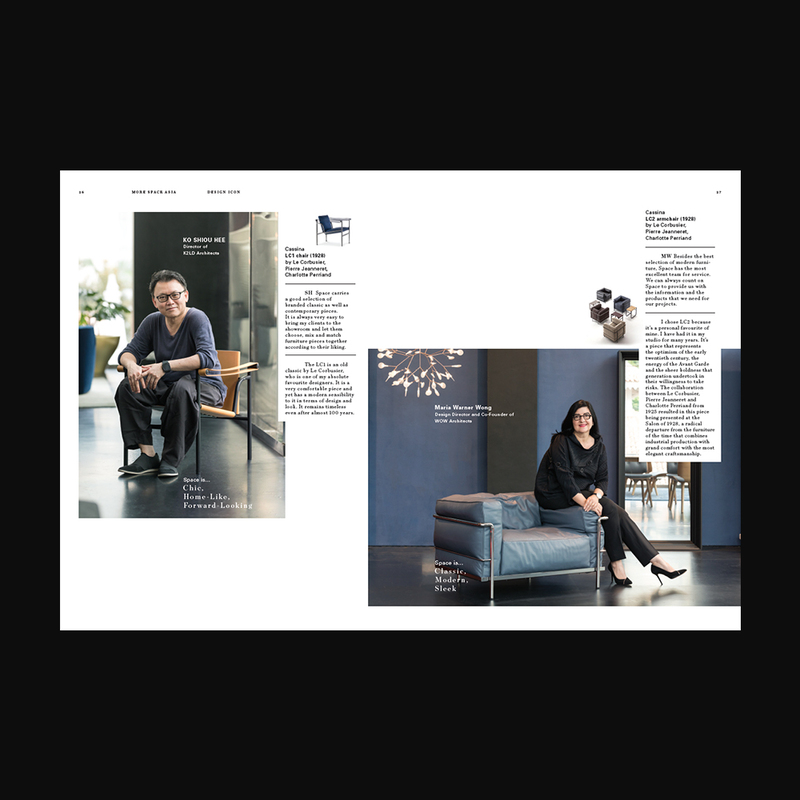 Elements like the serif font and a specially-curated collage for the covers are combined together to produce a modern and stylish publication. 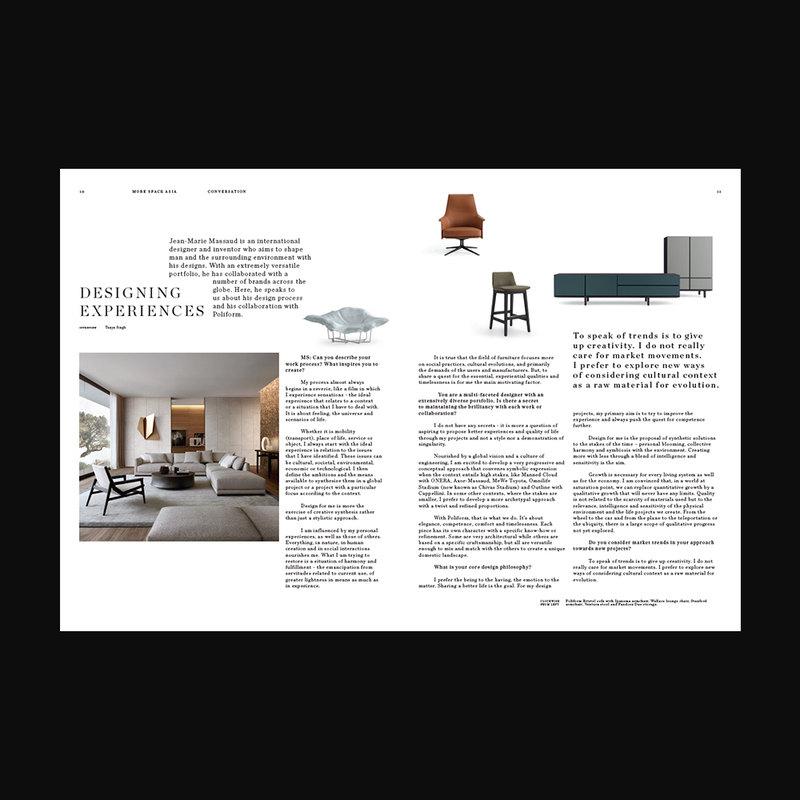 An annual print and online magazine produced by the luxury furniture retailers, Space Furniture, More Space is all about design and creativity with a focus on inspiring people and projects from the furnishings industry. 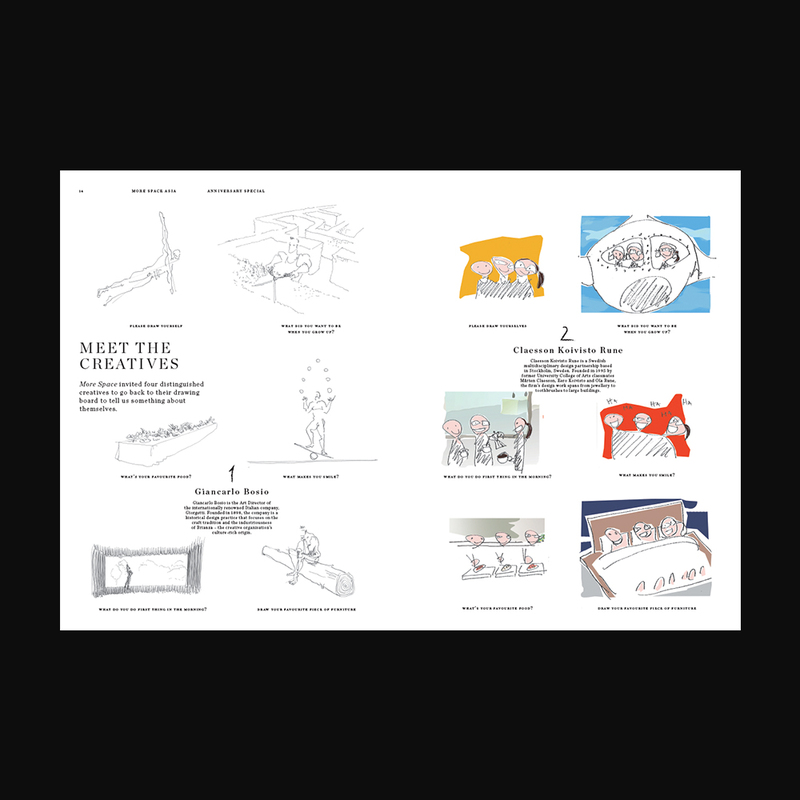 Featuring stories, news, opinions and interviews, the magazine maintains an elegant and luxurious design while also providing a creative look into the workings of the design industry. 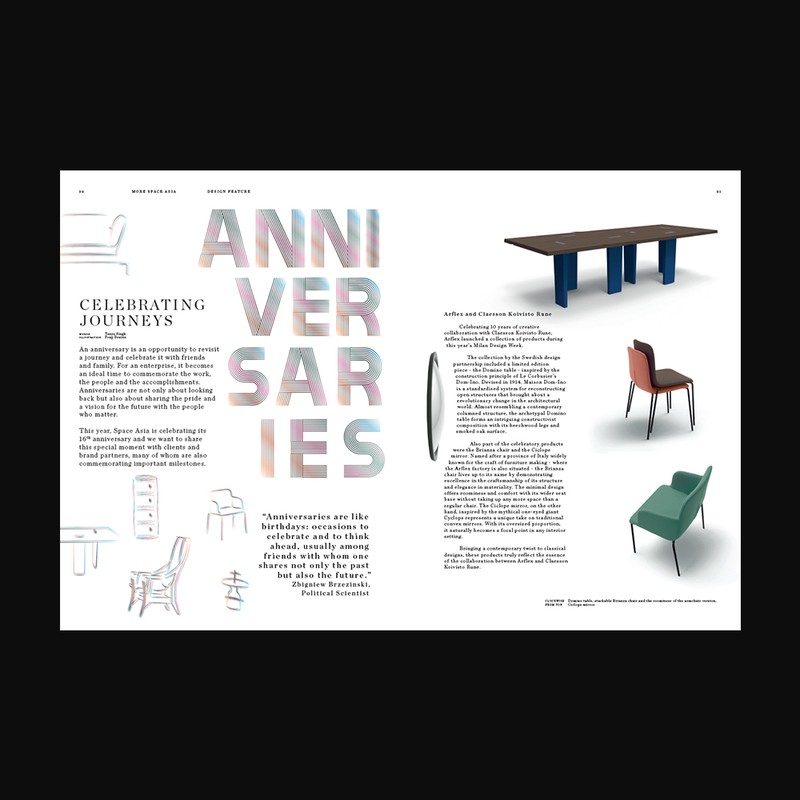 Elements like the serif font and a specially-curated collage for the covers are combined together to produce a modern and stylish publication.